WE ARE MOVING! Many of you know that Craig is now working in N. dakota and really likes his job. The only problem is, there is NO WHERE to live there. There are more people than they have houses or apartments for....people are driving trailers up there and charging people $1,200 to have a room in it! craziness. 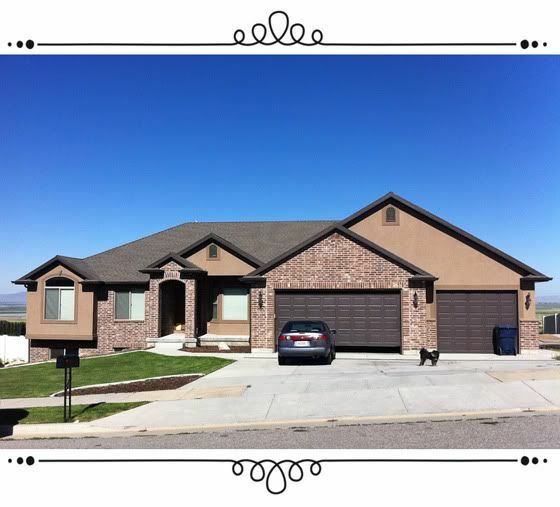 So, our lease is done here in Logan and we are moving a little ways away and renting a home. I won't say exactly where, but it is a small town and I will still be able to take photography clients from Logan and Ogden easily. Congrats & good luck. Please let me know if there is anything I can do to help. And if you aren't moving that far away, hopefully we could still get together? :) I am sure that even with all the craziness that you are going through & the little amount of time, McKay's birthday party will be 10x better than any party I have thrown. lol. Well congratulations! That's exciting and it definitely all works out for the best! Good luck with everything!! Pretty house! Congrats on the job....boo for lots if time away, but yay for two weeks home at a time.